I am writing this as an examination of graff art culture seen through my eyes. 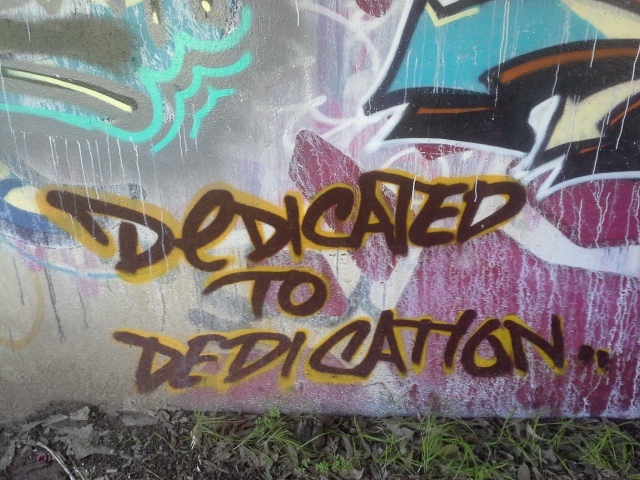 I am part of the graffiti illiterati. This is not a critique by an insider, or practitioner. What this offers then, is a discussion of graffiti and graffiti culture fuelled by my understanding of what I confront in the everyday environment. My case study is the Bridge connecting Guildford and South Guildford via Great Eastern Highway. Below this bridge a walker will always find fresh paint, whether it is the paint of private individuals, or that of the council workers that are employed to paint over the unauthorised artistic offerings. Presumably the expense of painting over the graffiti is justified so that those dozens who walk the muddy path each week are not rudely exposed to non-council funded art, or perhaps the council is merely in the business of offering blank canvasses to graffiti artists. Having regularly walked this path my whole life the latter would be the more understandable, considering how ineffective the repainting is as a deterrent. What interests me is the psychology that is revealed in the public offerings of the artists who oblige the council by adding some colour to the dour grey that is chosen to cover previous graffiti attempts. The above photo reveals the presence of a graff-group. This lends itself to the conclusion that graffers operate within a collectivist society, which would be highly premature. Care not for the farmers? Care not for the dam levels? 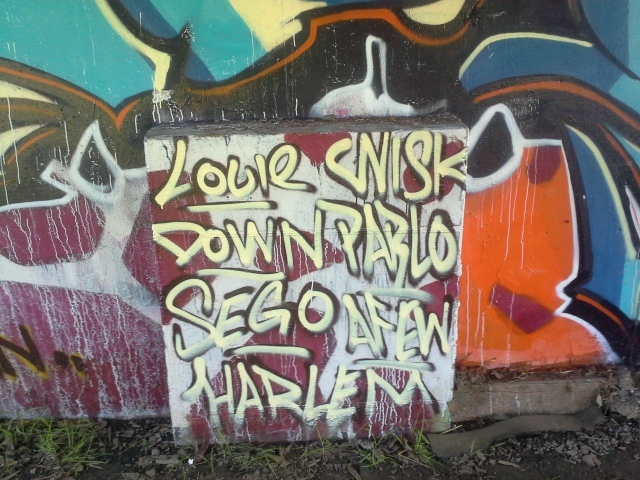 Graffers, it must be said, appear to care little for society outside their immediate bubble. That they sometimes produce something that is aesthetically pleasing to the average person is more than adequately compensated for by the extreme costs they impose on the WA taxpayers, around $30 Million a year, not to mention the artistically worthless practice of tagging that reminds one more of the scribbles of a pre-schooler than anything worthy of praise. It is apparent that graffers not only don’t care for the average person’s opinion, they actively alienate themselves from ordinary citizens. Alias, or stating the obvious? That graffers care little of the wider public is evident in the practice of using aliases to represent their work. You don’t see “Greg Patterson”, you see “Flaps”. 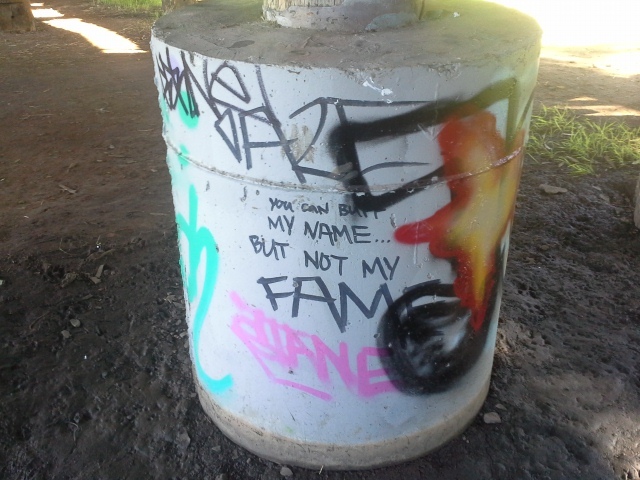 This means nothing to those who are not heavily involved in the graffiti community and thus are able to put names to faces. Now don’t put this down to a noble disregard for wide acclaim, for why even bother with aliases if you want to be anonymous? 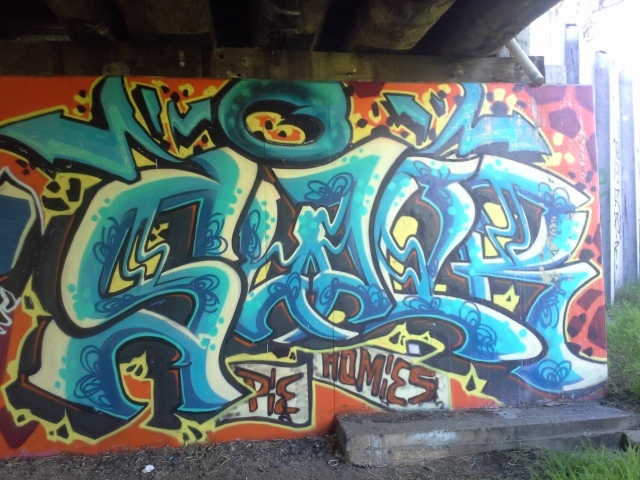 As the below image shows fame is still a great motivator of the graffiti artist, even if it is fame within a small subset of society. Like an economist or scientist; the wider public ignore graffiti artists. Yet they are motivated by the prospect of impressing a small group of people who do care about their work. Why else would you waste your own money and time painting something that will be visible to very few people and covered up in all the haste that can possibly be achieved via the bureaucracy? "You can buff my name... but not my FAME"
The graffiti artist does not seem to be motivated by a collectivist interest either in the wider public sphere, or indeed their own clique. They act out to gain praise for their individual skill, using groups as step ladders for wider exposure or recognition. That it can come at great costs to themselves individually is part of why their actions do impress those within graff society. Unlike other artists who could have the same said about them, they don’t appear to be agitating for any change, either social or artistic. They are rugged individualists that take myopic risks to please a small group of others and in turn win praise. "Out on BAIL... but for how long"